“Mr. Mallam Yahava Muhammad of Hadejia, Nigeria, observed a brilliant fireball moving south to north. Two loud detonations were heard several minutes later. Mr. Mallam Audu and several neighbours in Kilabo heard the stone fall and later recovered it. The meteorite was found in the crater measuring 35 cm wide by 20 cm deep in sandy soil. 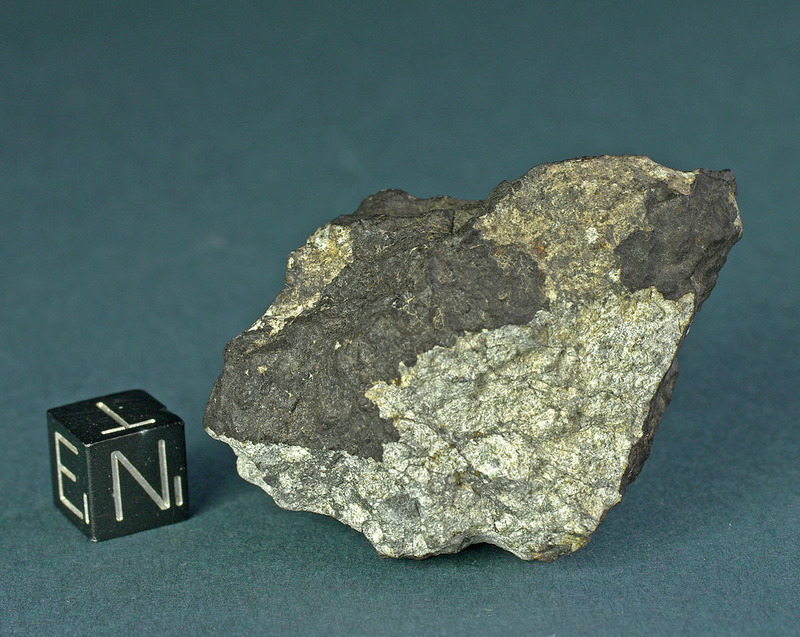 The meteorite had fragmented on impact into many pieces, the largest of which was 2.2 kg.” (Meteoritical Bulletin N° 87). The pictured specimen is a partly crusted individual with primary secondary and tertiary fusion crust. Brecciation and the characteristic blue shock veins are visible on the non crusted surfaces. Fallfresh specimen recovered briefly after the fall.